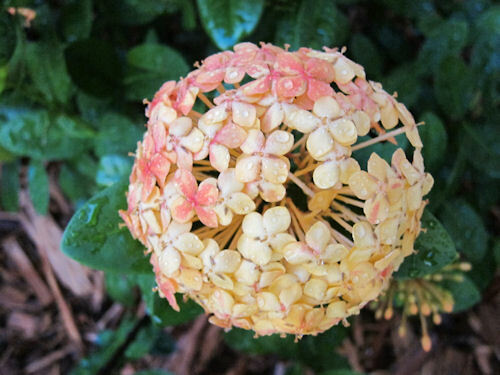 This is a closeup of an Ixora plant bloom. These are nice plants but not very cold tolerant (and they take forever to rebound!). 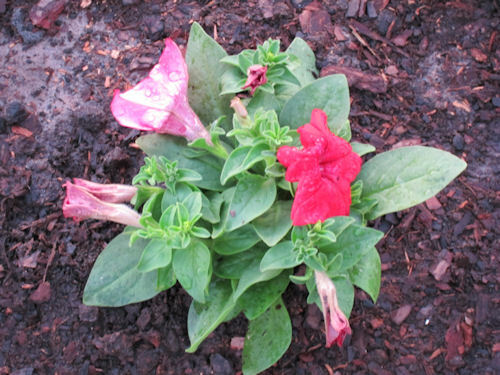 This is a new variety of petunia that I tried out this year. They were heavy bloomers. I will definitely plant these again. 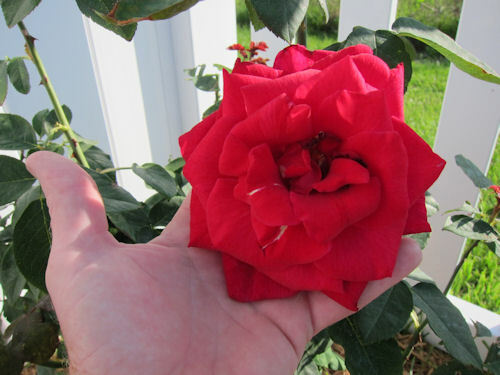 This is a Mr. Lincoln variety rose that I planted in my back yard. I planted three of them. The red color of the rose goes nice with the white vinyl fence.